Ten-Year Veteran	 Not as much extra room as the specs suggest. But the Touring and Touring Elite do add an armrest. Ten-Year Veteran	 Sienna's "wow" feature best used with no one in the third row. Kia will also offer these next fall. 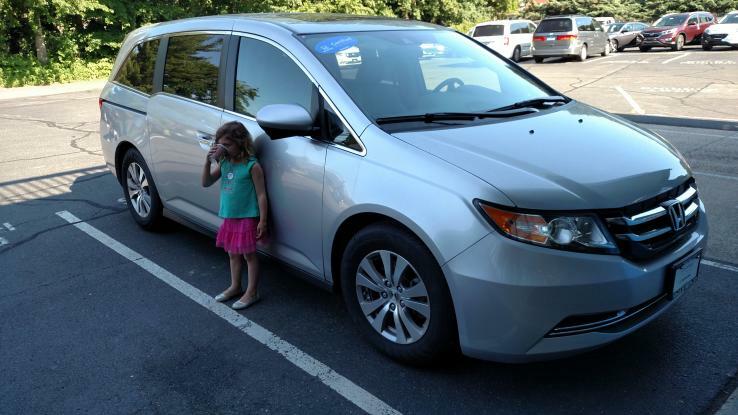 Ten-Year Veteran	 Minivan money shot: two to three times as much cargo space behind the third row as in a crossover. Ten-Year Veteran	 Odyssey has more cargo space behind the second row than the Highlander does with both rows folded. Ten-Year Veteran	 Second row doesn't stow. Must be removed for maximum cargo volume. 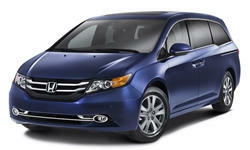 Ten-Year Veteran	 Honda Odyssey 3.5-liter V6 isn't as strong as competitors' engine, but is more fuel efficient. Ten-Year Veteran	 Honda's new "wow" feature, only on the top-level Touring Elite. Two attachments, but no brush. Ten-Year Veteran	 Unfortunately this is the "after" shot. The Hondavac sucked up most but not nearly all of the sugar. Ten-Year Veteran	 Center section folds to form an armrest with cupholders. Ten-Year Veteran	 Honda seats are not to everyone's taste. This one's lumbar bulge was a bit high for my back. Ten-Year Veteran	 Controls a little easier, and more of them are within reach. Faux wood a matter of taste. Ten-Year Veteran	 Touring and Touring Elite add fog lights, side skirts, and 18-inch wheels. Sporty? Ten-Year Veteran	 More adventuresome styling than the Toyota. But does anyone really like the zig-zag? 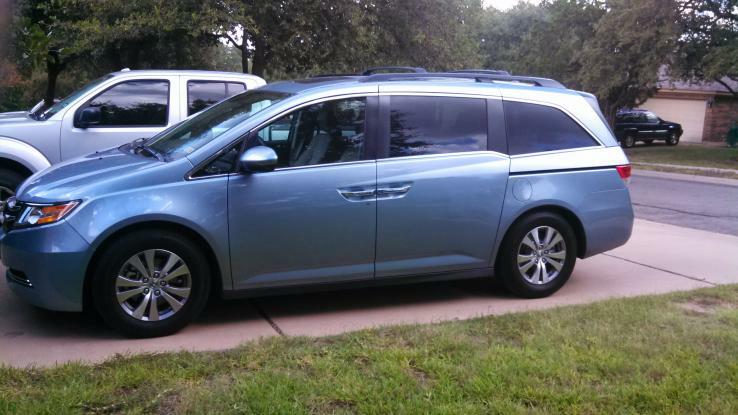 Ten-Year Veteran	 Sienna's exterior is sleeker and more conventional than the Odyssey. For a sportier look get the SE. Ten-Year Veteran	 Zig-zag enables a more dramatic rake to the belt line (base of the side windows). Ten-Year Veteran	 Odyssey styled to appear relatively wide and low from the rear. Ten-Year Veteran	 Typical circa-2011 Honda interior doesn't quite measure up to the "Elite" label and $45,000 price. Ten-Year Veteran	 Sportier, less overtly upscale instrument panel styling than the Sienna. Ten-Year Veteran	 Raked center stack puts HVAC controls beyond reach. Touchscreen not as handy as a tuning knob. Ten-Year Veteran	 Cleaner face than the 2011-2013 Odyssey.